Our newly erected house is located at the city limits of Oberjoch (400 residents). It is unencumbered and faces south-west. It has a beautiful view of the valley and the mountains. The apartment covers two floors and has a separate entrance. It is modern, comfortable and completely furnished and especially good for those suffering from allergies. 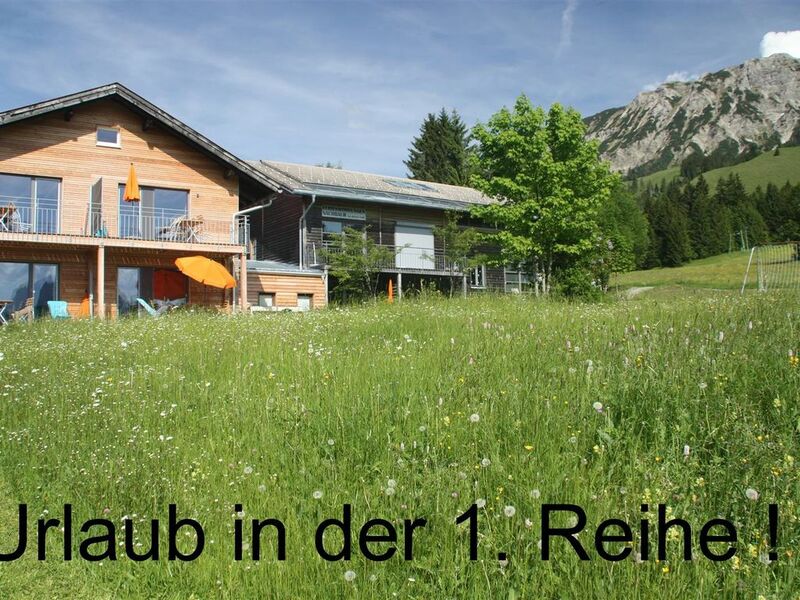 Oberjoch is situated at 1,200 m altitude in the midst of the Allgäuer high alpine nature park. During the winter, the ski lifts and cross-country trails are right at the door. During the summer this is the ideal starting point for hikers.